There is no sight more Muscovite than St. Basil’s Cathedral. Its cluster of colourful onion-shaped domes was built in the 1500s and intended to resemble the flames of a bonfire. Legend says that after the building’s completion, the Tsar was so enamoured by it that he had the architect blinded so he could not create anything as beautiful again. This is exactly the sort of behaviour that earned him the nickname Ivan the Terrible. 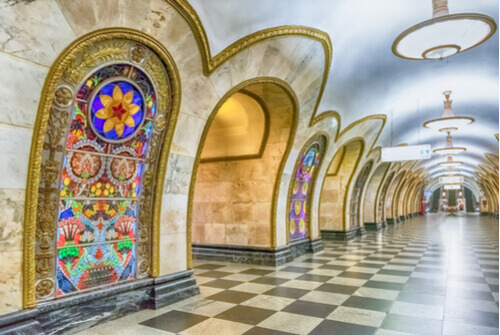 Communism is not famed for fostering great architecture, but the exception to this rough rule is the Moscow Metro, a mass transit system designed under the ethos of making everyday people feel like a noble as they headed off to toil. The older, original stations are the grandest and all stops have high-quality buskers playing classical music. 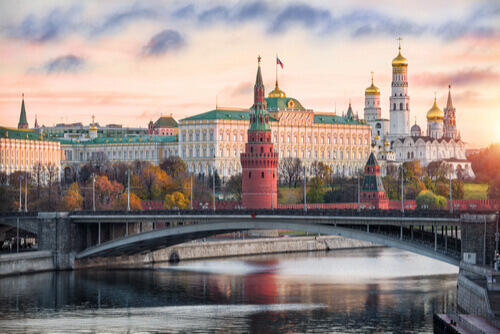 Moscow’s seat of power has been the city’s fortress for around a millennium but it took on its current look under the reign of Ivan the Great. 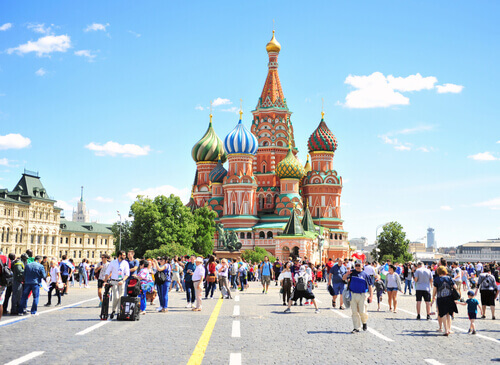 Its name means castle or citadel and is the best known of Moscow’s kremlins. Its four-metre thick walls enclose 68 acres, home to three cathedrals, two churches, 20 towers, the Palace of Congress, several imperial palaces and museums, numerous government offices and the official residence of a certain Vladimir Putin. It is flanked to the west by Alexander Park. Despite being the geographical, historical and political epicentre of Moscow, Krasnaya Ploschad (Red Square) doesn’t get its name from the colour of the walls around it nor, the Communist banners that have more recently fluttered above. 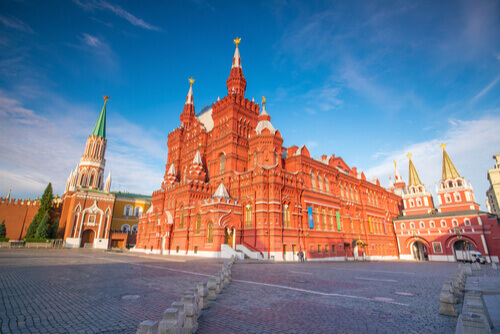 This former marketplace, site of executions and coronations, and occasional parade ground, is such named as the Russian for red (krasnaya) is related to the word krasivaya meaning beautiful. They’re not wrong. The Lego-like shallow pyramid of Lenin’s Mausoleum is an architectural nod to the tombs of Egyptian, Persian and Mayan rulers – a far cry from both the Communist ethos and his wish to be simply buried next to his mother. Lenin’s embalmed corpse has been on display here since 1923 except during World War II when it was kept in Siberia to keep it away from Hitler’s reach. 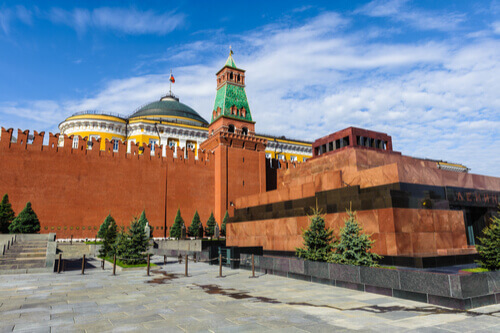 Past the goose-stepping guards along the nearby Kremlin wall, you’ll also find the final resting places of Soviet Russia’s great and good, including Stalin. 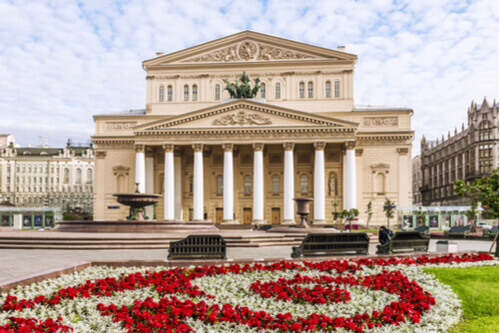 Home to one of the world’s oldest, arguably most-renowned and definitely biggest ballet companies, the Bolshoi Theatre is the pinnacle of Russia’s high culture. The company was founded in 1776 by Catherine the Great, but the theatre itself was built in the following century and was the place where Tchaikovsky premiered Swan Lake. It now operates as a repertory theatre that puts on classic ballets, operas, plays, recitals and symphonies every night of the week. This vantage point offers more of a high-flying bird’s eye view of the city than its name may suggest. 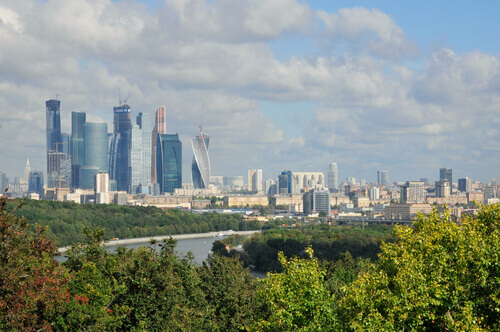 Its observation deck stands 80m above the river and offers a great view of the Luzhniki Stadium which hosted both the 1980 Olympic Games and the 2018 FIFA World Cup Final. 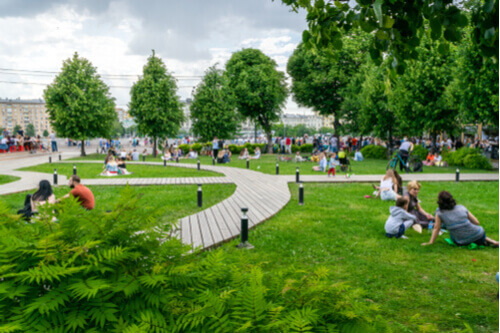 These same panoramic views across Moscow have inspired poets throughout the ages, but we’ll have to wait and see what prose the new cable car ride inspires. Thanks to a slew of 80s cold war novels and films, Gorky Park is cemented in western culture as the scene of mystery and espionage but the reality is far more colourful. Made from the gardens of a hospital and a palace 90 years ago, this 300-acre riverside park acts as both a lung to the city and a playground to its people. A 2011 clean-up removed the rusting fairgrounds and has allowed this ugly duckling to mature into a beautiful swan. It is named after Marxist author and five-time Nobel nominee, Maxim Gorky, a peer of Tolstoy and Chekhov. This wing of the Muzeon Park of Arts serves as a dusty corner of Moscow’s attic – a place where the city stashed those embarrassing knick-knacks they now can’t bear to depart with. 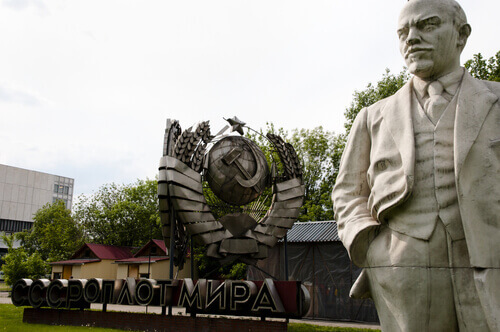 When the Soviet Union collapsed in 1991, statues of previous Soviet leaders along with now politically passé likenesses of peasants and workers were all unceremoniously dumped on these grounds. Later, they were returned to an upright position, cleaned and joined by many contemporary artworks. 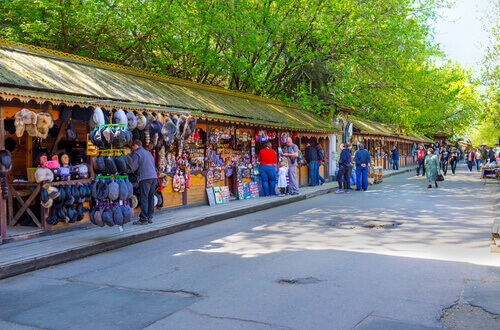 Even though most visitors to Moscow head to the Arabat for a stroll and shop, many feel that this has become overrun by Chinese vendors and the goods on sale are not authentically Russian. Don’t be put off by Izmailovsky flea market’s strange off-brand Disney castle structure – inside, it is no imposter. From hand-painted nesting dolls and Christmas decorations to Soviet-era souvenirs, furs and traditional costumes, Izmailovsky offers a great chance to pick out gifts for everybody on your shopping list.